After the completely pointless and irrelevant Golden Globes last week, a new show popped up on my radar. The Kominsky Method. I’m a huge fan of The Marvelous Mrs. Maisel so when I heard that it didn’t win, I had to watch the show that did. Even though I don’t think this show deserved to win, it is a solid sit-com. One of the best part of this show is Michael Douglas as Sandy Kominsky. I haven’t seen a lot of his work but he was very impressive in this. He had good chemistry with most of his fellow cast member and his comedic timing was great. But one actor who I thought was even better was Alan Arkin. His character was the most well written and had the most compelling arc. I also felt like he had the best comedic chops out of any of the actors. That says a lot because the show has several funny moments. The style of humour definitely isn’t for everyone as it has several dark jokes but I personally found the show pretty funny. However, it does occasionally feel a little repetitive and for a sit-com the show needed more laugh out loud moments and not just chuckles. The show’s best laugh was easily one involving a bush. Make sure you watch out for that one. Part of the reason why Alan Arkin’s character Norman stood out to me was the relationship he had with his wife. Something happens to the wife early in the season and the way Arkin portrayed the character after this was fantastic. The writing was great for the character and I’m interested to see where they take the character next season. Despite that arc working, a lot of the other emotional and dramatic stories didn’t work as well. The writers felt the need to actually show the audience why they should care about the characters when it came to Norman’s story with his wife. Nearly none of the other relationships were as effective. Nothing made me care about the romantic subplot between Sandy and his student or about Norman and his daughter. Another issue I had with the story is the ending. There isn’t any sort of conclusion or set up for season 2. It kind of just ends. 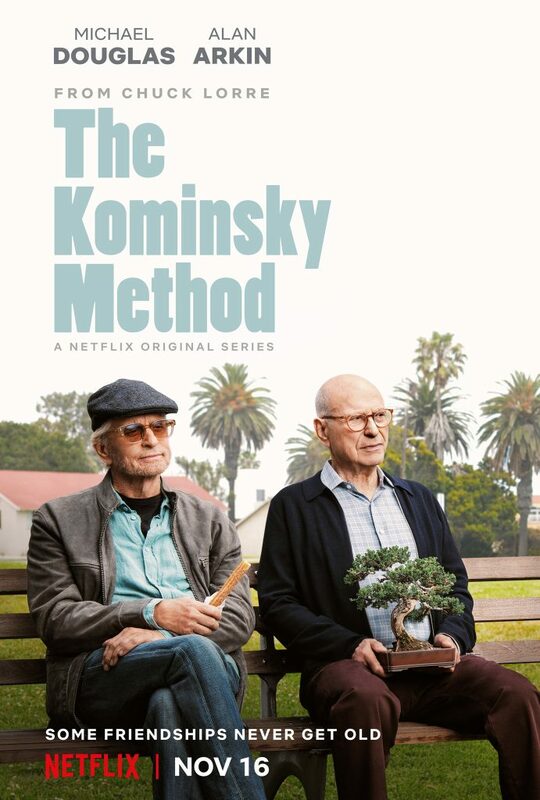 Overall, The Kominsky Method was a fun show with consistent laughs and two great lead performances. However, there aren’t enough big laughs for a sit-com and the character relationships aren’t the most effective.